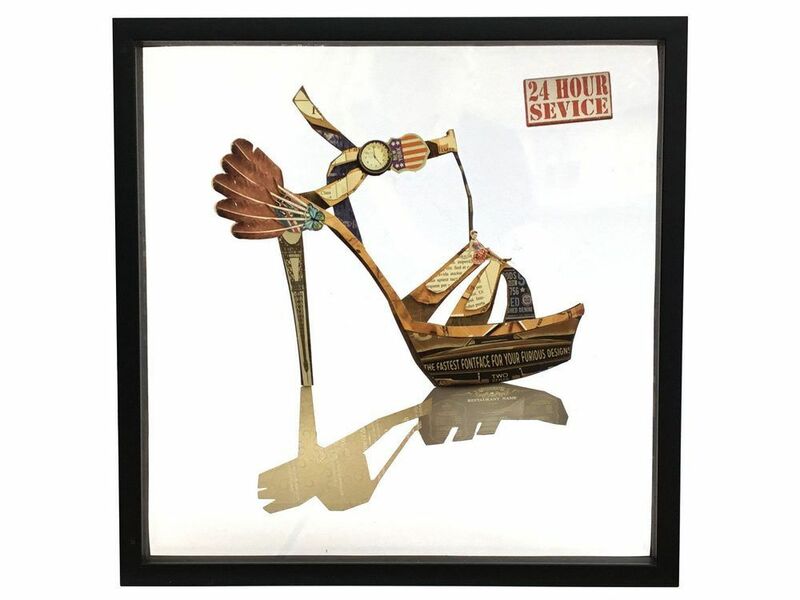 Made from magazine clippings and feathers and mounted within transparent acrylic, this quirky abstract collage of a shoe is unique wall art that oozes retro appeal. The feathers surrounding the heel of this abstract retro print add a feminine touch to the design, suggesting the wearer is light on her feet. Mounted in a see-through black wooden frame, this retro fashion print captures the shadow of the shoe, adding a lovely symmetry to the design. Look closely and you'll notice a deliberate spelling mistake that will have you doing a double-take.